I’ve always been an organized person. Prior to getting married, I lived in a townhouse. The contents of my garage were labeled & in color-coded bins. I didn’t keep much of what I didn’t need, and everything had a designated space. When I moved in with my husband, combining our belongings was a little tough. Then (and I mean it seemed like minutes later), our son joined us, and all hell broke loose. Tiny people have lots of stuff. They are my mantra. 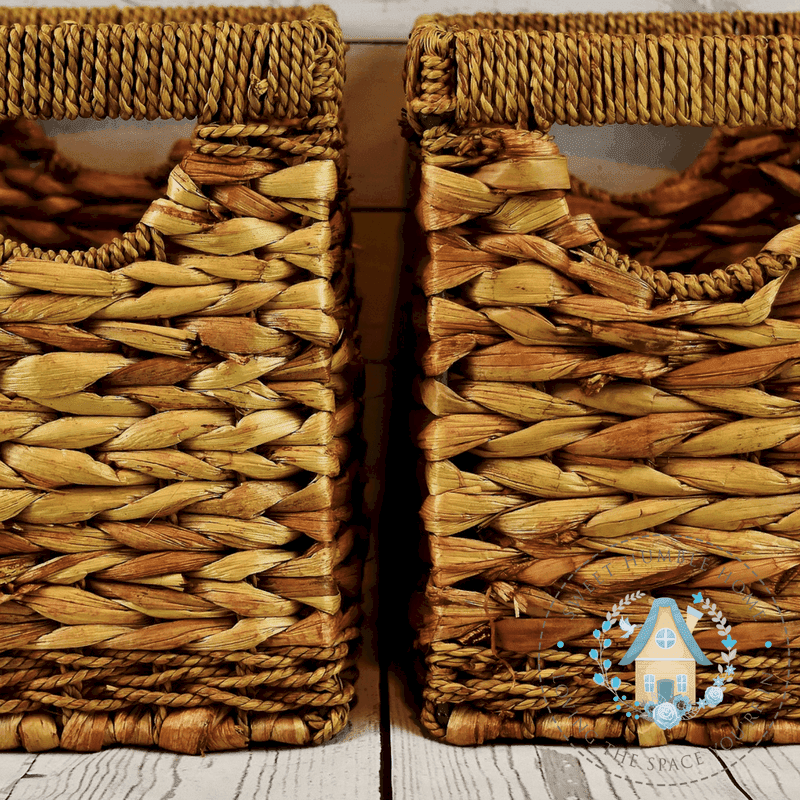 You can match them to your decor, and they keep things contained.) After the toy monster threw up in my living room, everything needed to find space, and baskets became my best friend. My best friend in the whole, wide world. Really. They gave me back my sanity. I have a puzzle basket, book baskets, Lego baskets, train baskets, car baskets, you name it. And I found a way to organize them all so that the living room (we don’t have a separate playroom) became a living room again. Organize closet space in zones (i.e. : game zone, large toy zone, you get the idea). Get ready the night before school. Prepare snacks, drinks, backpacks, and clothes for school (uniforms in our case – so easy on Sunday. I go so far as to pick outfits for the week during the school year on Sunday so it’s one less thing to think about the night before or the morning of. Design a family communication space. Ours is on the side of the fridge in the kitchen. I can always find my school notices, important forms that need to be filled out, a calendar, etc., right there and available. Keep this area neat. Keep your kitchen organized with kid spaces. I have a drawer that holds my sons things. I keep all of his cups, plates, etc., in there. It also keeps them off of shelves and out of drawers that they would look unsightly in therefore feeling more organized. Also, I have a snack cubby in the fridge. I fill it with snacks he is allowed to have, cold water and a milk ready to go. He can open that fridge door, and he can reach that bottom shelf. I usually don’t have juice boxes, but when I do they are also there. Both of these tips help to promote a child’s sense of independence, which is also helpful. 6. There is a place for everything! Put things away in the same place each time. Remember that old saying your mother taught you, “a place for everything, everything has a place”? It’s true. Make sure to use this phrase with your kids when helping them learn to organize their own space. Purchase furniture that is appealing to you and, at the same time, can conceal kid stuff. Keep a bag in the trunk of your car with essentials. The following is always in my car trunk: 2 water bottles, a couple of extra snacks that will keep, an extra set of clothes for the season, a set of pajamas in case we stay someplace later than we planned, a rain jacket, an extra set of gloves and a hat in winter, and a pair of rain boots. In addition; I always have a small bag with a couple of beach essentials, and small toys. You can end up stopping by a beach even when it’s cooler, and having a few small toys are a nice distraction in restaurants. Store some of their holiday specific books and toys with the decorations. Plush reindeer have no place in my living room unless we’re expecting a visit from Santa. It’s Not Always Going to be Perfect! Don’t go crazy. You have a child(ren). Sometimes your house may be a disorganized mess. That’s ok. It’s your home and you shouldn’t feel like you need to live out of the pages of a magazine. Relax. Play with the kids and be part of making a mess. It’s a lot more fun. For the record, not by any stretch, should my list above indicate that every single one of those baskets aren’t turned upside down at the same time all over the room on occasion, and that there aren’t times when I use something out of the bag in the back of the trunk and don’t forget to replace it, leaving me wishing I had that extra set of underwear, it just gives me the solace of knowing that everything has a home. If somebody shows up for a surprise visit they may see a super organized space or they may think a tornado just flew by. 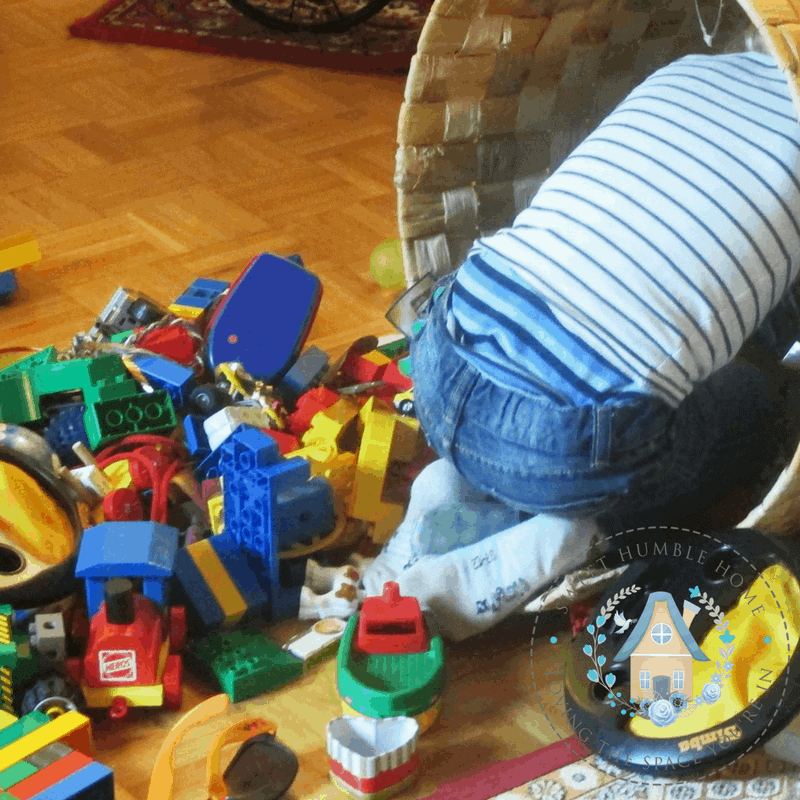 If they see the latter, then they’ll also see my son using his imagination, and having fun in our home, and in the end, that’s what is most important. 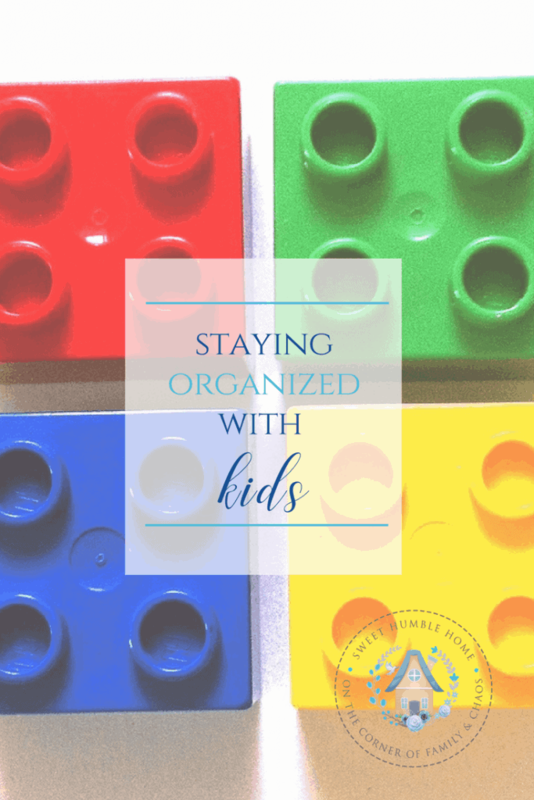 Please, share your organizing with kids tips with me! I love to hear about how people organize with kids!